Being a cast member on a successful television show has plenty of perks, like getting recognized, having people make tons of GIFs of you, or earning some good money. 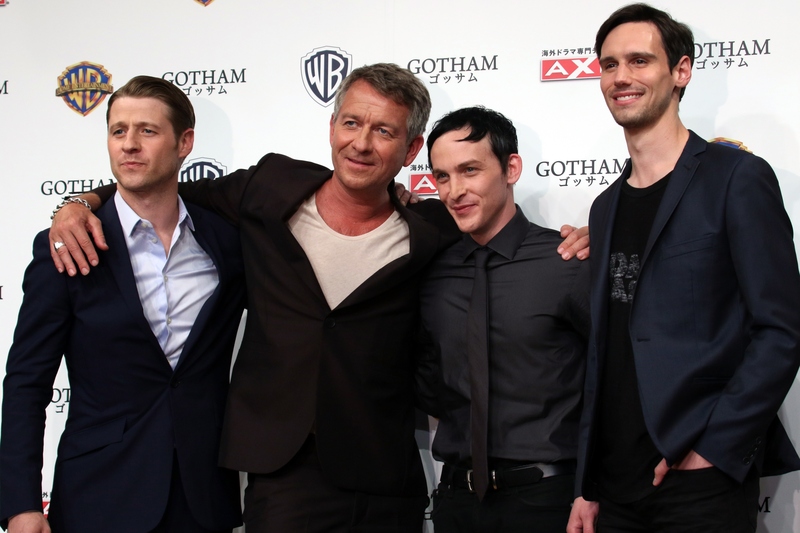 So, how much does the Gotham cast make? Exact figures are hard to come by, because the salaries of regular TV actors tends to be less exciting (and less reported on) than the millions that movie stars make. But, working from a combination of celebrity gossip, SAG rules, and info that the actors have put out there, it's pretty clear that the cast of Gotham is well-compensated for their work on the network drama. Even though the main cast is quite large, all of them make a good amount per episode. But, when compared to some of their onscreen counterparts, I'd bet the cast might be a little bit disappointed with their paychecks. After all, this is a story that involves at least two billionaires and a bunch of mobsters. But, overall, I'd say the show does well by its cast, and that should hopefully be enough of an incentive to keep the same actors around for seasons to come. So, what do they make? Well, TheRichest puts star Ben McKenzie's net worth $13 million, which means he's making a lot more than a detective. Since, according to TV Guide, the largest per-episode starting salary for network dramatic television show is $125,000, as an established star from shows like The O.C. and SouthLand, McKenzie must command close to that figure. But, by far the biggest star to appear on Gotham, Jada Pinkett Smith, only made $100,000 per episode according to TV Guide. I know she's no longer in the show, but I'd be shocked if even McKenzie made more than her during Season 1. For the second season, he, and any other returning stars like Donal Logue probably got a pay bump. But, I'd say the GCPD would probably be better compensated in real life than on TV. And, since James Frain's Theo Galavan seems to be taking the place of Fish Mooney, he's probably making a comparable amount. Robin Lord Taylor, who plays Penguin, gave an interview to Gold Derby Rush where he expressed contentment with his salary. Being "able to pay the rent" isn't bad. It's not exactly "King of Gotham," but it's not bad. Gotham also has a strong supporting cast of young actors, like Camran Bicondova, who recently told TMZ that she's making $17,500 per episode. That's a lot less than the big stars, but still balances out to over $300,000 grand per year, which is significantly more than a poor street urchin. Equally young actor David Masouz, who plays Bruce Wayne, is probably wishing he had his onscreen salary, because being a tiny billionaire probably beats being a tiny successful actor... though sometimes lil' Bruce is kind of a brat, probably because he has so much money. Using deductive reasoning (well, guesswork), it seems like most of the guest stars and other recurring characters make somewhere in between those two figures. That means actors like Erin Richards, Cory Michael Smith, or Drew Powell (he's Butch), are probably making somewhere between $20,000 and $70,000 per episode, as are the guest stars like Peter Scolari. While not all of the actors on Gotham are making millions just yet, the more successful the show gets, the more the stars will make, and, judging by its Season 2 success thus far, it all bodes well for the actors.